Peer discussions, discussion workshops and quizzes. With the sustainability of the profession under threat, what more can be done to improve patient outcomes and demonstrate the value of optometry? This session considers three cases and explores how to approach and examine the patient presenting with symptoms of flashes and floaters. An evidence-based approach to investigation/management will be considered. This discussion workshop for dispensing opticians, optometrists and therapeutic optometrists considers three oculoplastics cases. Case one considers a presentation of an enlarging lid lump and its possible treatment, together with the distinguishing features and management of other lid lumps. In case two, we consider the cause and management of eye irritation following lid surgery to remove a malignant lesion before discussing the risk factors for eyelid malignancy. In the third case, we consider the management and referral options for a person affected by blepharospasm. Other forms of eyelid and facial spasm are also deliberated in case 3 while communication of patient explanations is also considered throughout the workshop. This discussion workshop considers three glaucoma related cases which require critical thinking and clinical decision-making in the context of a community practice setting. Glaucoma medication and adverse effects are also considered, along with referral decisions, risk stratification and ways that community optometrists can support the wellbeing of people under the care of a secondary glaucoma service. This discussion workshop considers three general ophthalmology cases which require critical thinking and clinical decision-making in a community practice setting by both dispensing opticians and optometrists working in a multidisciplinary eyecare team. A series of peer discussion cases which explore issues relating to paediatric investigation and management/dispensing for ocular problems, including binocular vision. A non-interactive picture quiz to explore cases of anterior eye problems which may present in CL practice. A quiz which explores information a dispensing optician needs to know about key examination techniques and an insight into the significance of information from these tests which is entered in the patient’s record. A non-interactive picture quiz to explore cases of eye problems which may present to optometric practice for investigation and management or referral. Paul is the director of professional advancement for Specsavers in the UK and Ireland. The role involves furthering clinical scope, professional services, standards and training for the group optometry, audiology and ophthalmology services. 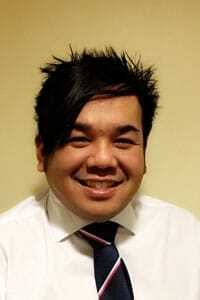 Paul is also the ophthalmic director of the Bridgend and Porthcawl stores in South Wales. 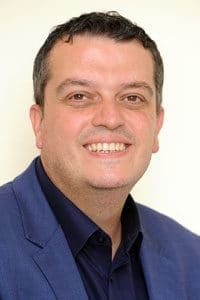 Outside of Specsavers, Paul has been a director of FODO, chair of the Optical Confederation IT and Information Committee, as well as an Optometry Wales vice-chair. He has previously undertaken work as a clinical supervisor for the AOP and was founder and director of BAM Optical Training & Solutions that delivered teaching to optometrists and pharmacists in ocular pathology. Paul has also held positions in the hospital eye service as well as the School of optometry and Vision Sciences in Cardiff. 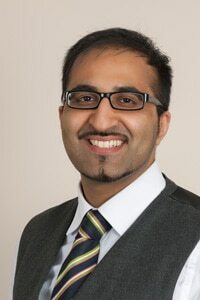 After qualifying with a first-class honours degree in optometry from Anglia Ruskin University, Satvinder worked in hospital optometry and community practice roles, including as a specialist contact lens lecturer. Satvinder has also held the post of senior specialist optometrist, optometry manager and deputy head of optometry Birmingham and Midland Eye Centre, City Hospital, working in clinics such as contact lenses, diabetes, glaucoma, general ophthalmology, low vision and paediatrics for 10 years. He obtained a fellowship of the BCLA in 2016 and is director of the Specsavers Daventry and Towcester practices, a lead WOPEC assessor and a lead head of EOS for Specsavers. 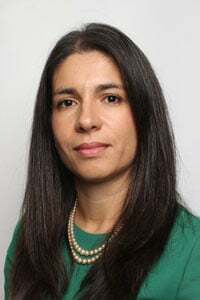 Kiki is head of optometry development for Specsavers, external examiner to Cardiff University for post-graduate taught courses and honorary associate professor at Plymouth University. Qualifying in 1996 and working in hospital and community settings, she went on to be the founder and director of an independent practice. Kiki completed a part-time Masters in Clinical Optometry at City University, which she used to diversify the scope of her clinical provision. As a lecturer in optometry she developed and led the first problem-based learning (PBL) module in the UK for clinical case management. She qualified as an independent prescriber in 2011 and has used her experience to encourage students and colleagues to evaluate their professional objectives and work towards achieving them through directed learning. Daniel has over 20 years’ experience working in optics. He is a consultant to Specsavers’ professional advancement team, a glaucoma specialist optometrist with Newmedica and is employed by the College of Optometrists as a clinical adviser. He has previously been managing director of an optical practice in Cambridge, a clinician at Anglia Ruskin University and a senior glaucoma optometrist at Addenbrooke’s Hospital in Cambridge. Daniel is well known for his public engagement work, raising the profile of optometry and the importance of good eye health. Will is dual qualified as a dispensing optician and optometrist as well as clinical director of Lok Optometric Consultants Ltd, a company which develops and delivers training material for optical conferences. Will qualified as a dispensing optician in October 2005, an optometrist in August 2010 and was awarded independent prescriber status in June 2014. Will has considerable experience of developing and delivering CET peer discussion sessions at regional and national training events. 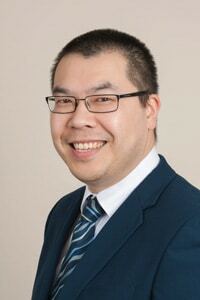 Kevin is the optometrist director at Specsavers Altrincham, Sale and Urmston. He started his career as science teacher before retraining and graduating with a masters of optometry. 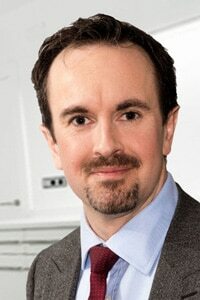 Since then, he has held roles as a University of Manchester lecturer in optometry. He continues his involvement in optometrist development as a WOPEC lead assessor, College of Optometrists examiner and assessor and is currently training to become a CAVA assessor in diabetic eye screening. Kevin is a qualified diabetic grader and has completed his independent prescribing qualification alongside Professional Certificates in Glaucoma and Medical Retina. He is also a head of EOS for Specsavers and vice chair for Trafford LOC. Adam is head of clinical optometry with responsibilities in both Specsavers and Newmedica for clinical training and development. Together with being a former head of enhanced optical services, his clinical background includes being the director of a community practice involved in the delivery of a range of enhanced services, a medical optometrist at the Bristol Eye Hospital and glaucoma module leader at WOPEC. 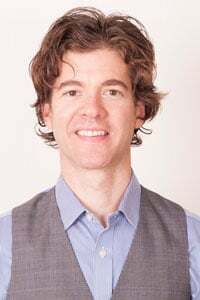 He has post-graduate diplomas in therapeutics and glaucoma from the College of Optometrists, a diploma in sports vision, an MSc in Clinical Optometry from City University, London and is registered as an independent prescriber. Alongside significant experience in delivering lectures, workshops and peer discussions, he has also completed a postgraduate clinical teaching module.